Patti Anderson is the mother of 3 children Kelsey, 31, Karsen, 29, and Mason, 24, who has cerebral palsy. She is a Director of Nursing in Obstetrics at Mercy Medical Center in Des Moines, and lives in Johnston, Iowa. When not at work or spending time with her children or friends, she enjoys gardening and any “relaxing” time she can get. She first became familiar with Easter Seals Iowa when her son Mason attended the summer camps as a child. Throughout the years she has used many of Easter Seals Iowa services for her son. Today, Mason lives in one of the Easter Seals HCBS staffed homes, which Patti and her husband Dave designed and built to be fully accessible. Mason was diagnosed with Cerebral palsy as an infant. Any parent that learns their child has a disability goes through the same stages as a loss – anger, denial, bargaining, depression and finally acceptance. What helped my family and I move forward was Mason himself. He is the one who taught us not to look at what he couldn’t do…but what he could. His smile, his personality, and his determination made every day a better one for all of us and the others he touched throughout the years. Having a child with a physical disability isn’t easy. The special equipment, appointments, classroom accommodations, surgeries, medications, daily staffing needs and the constant battle to obtain the best possible care for your child. My dream was that someday Mason would live semi-independently in a place he could call home. My husband and I talked about what it would take to make this happen. We designed the rooms by starting with simple pencil and paper drawings. We then started looking for a place to build this home. Finally, we met with an architect who took our ideas and made them real. Many hours were spent researching the latest in accessibility and making sure every room was designed to accommodate wheelchairs and walkers. Building the house was one thing. Next we needed to see what options there were for staffing the home 24/7. 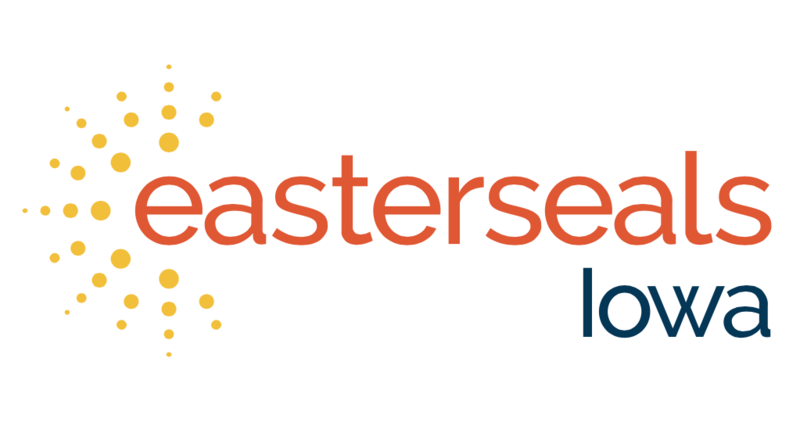 Easter Seals Iowa enthusiastically said they could meet those needs. The pieces were beginning to fit together. The big day came on January 30, 2017, when Mason and two other young men moved into the home. All of them were a little worried about moving away from their families and the homes they were familiar with. No one was more worried than me. Sending your child away from home for the first time is heartbreaking and scary. Parents who send their children off to college for the first time understand this. But sending a child with a physical disability and unable to care for himself added to the fear. It has been a year since they moved in and now have a 4th roommate. The young men enjoy each other’s company, call each other “Bro,” and look out for one another. Mason has blossomed with his ability to be more independent and make decisions for himself. He loves his new home. Dave and I are enjoying time we never had before. I am glad I was able to be there to help Mason transition to this new life. As I get older I will find comfort in knowing he has a safe place to live and people who take good care of him. Previous Small Successes, Great Results!